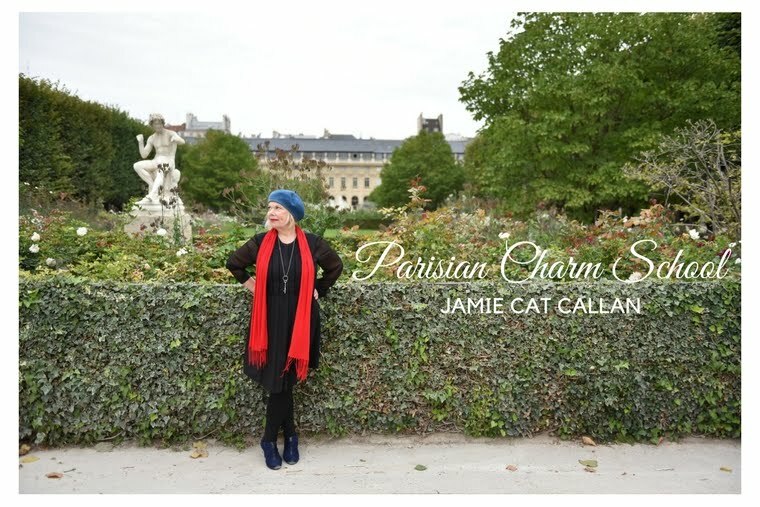 Jamie Cat Callan: Bonjour, Bridal Shower! 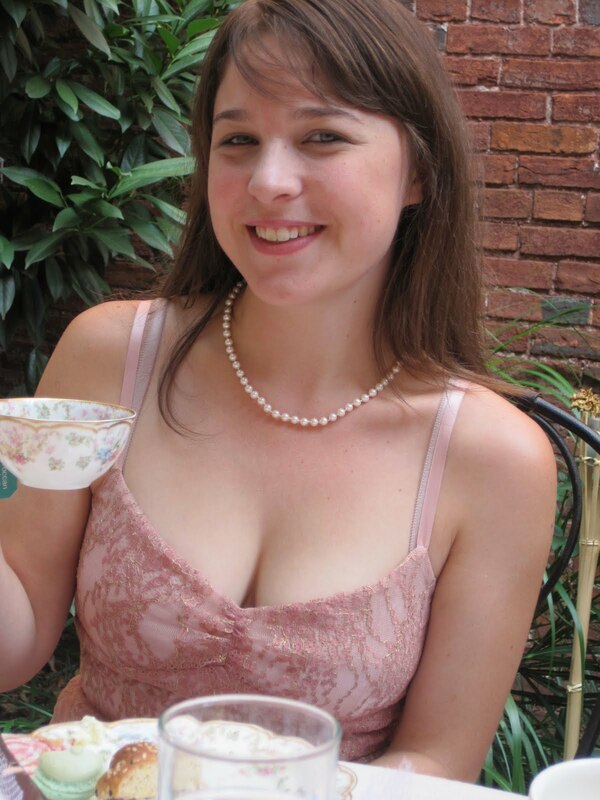 What a perfect day for a Ladies Tea in the garden! Callan's bridal shower was so much fun. The pistachio ones were my favorite. Callan has the prettiest friends! They all look like flowers in a French garden. Here are just a few of the pretty girls at the party. And of course, Callan received lots of wonderful gifts. There were cookbooks (Callan loves to cook!) Retro aprons, ceramic bowls, a cookie jar, and lingerie--oooh la la! She's a gal after my own heart. 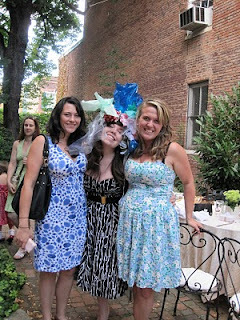 Her bridesmaids--Liz, Molly, Tracey and Merridith made the most fabulous hat out of the ribbons and bows. This crazy hat was really hysterical and fabulous. Afterall, we had MICA grads creating it! Oh, but I didn't tell you about the most delightful surprise! Yes, Jerry, Callan's beau, suddenly showed up with a bouquet of flowers and a kiss for the blushing bride-to-be! Ah, young love! Such a delicious menu too. I hope that you are getting rested up for the big event! Remember to tuck a lacy hanky in your bag...if you are anything like me there will be joyful tears on the day! 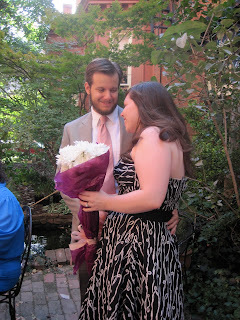 HAPPY WEDDING DAY TO ALL! Wow!! This bridal shower looks really amazing. I liked everything here. Have been planning my sister’s bridal shower at one of lovely wedding venues. Will surely have something great for the décor as want to make it memorable for her.